In battle-torn Scotland, a castle’s mistress awaits her groom, a warrior she has never met . . .
Lady Gwendolyn Murphy’s fiancé has finally arrived at Latharn Castle, but she expects no joy in their introduction. Gwendolyn is well aware of Bróccín MacRaith’s cold reputation. Yet from first glance, she is drawn to the intimidating stranger. Impossible! How could she be dazzled by such a callous man? Little does she know, Bróccín is dead. The man Gwendolyn believes to be her intended is actually Sir Aiden MacConnell, a member of the Knights Templar and her enemy, masquerading as the earl to gain access to the castle. His soul is dedicated to God and war; he has no time for luxuries of the flesh. But Gwendolyn’s intoxicating beauty, intellect, and fortitude lures him to want the forbidden. With the wedding date quickly approaching and the future of Scotland at stake, Aiden gathers critical intelligence and steels himself for his departure, vowing to avoid an illicit liaison. But a twist of fate forces him to choose–move forward with a life built on a lie, or risk everything for the heart of one woman? My Thoughts: Author Cosby takes us into a world of turmoil, danger and passion. Lady Gwendolyn expects to be just a pawn in a man’s world, but surprisingly finds her betrothed doesn’t seem to live up to his reputation of being cold and ruthless. Before either can catch their breaths, they are married. Sir Aiden never meant for his ruse to go so far. He is, after all, a Knight Templar, a man who lives his life of honor. Lady Gwendolyn knows she must acquiesce to the marriage, but she doesn’t have to like it. She’s a strong-willed, determined woman, very capable of fending for herself. Yet, this man simply attracts her and shows a side of himself she can’t reconcile with her previous understanding of the man she was to marry. Sir Aiden, impersonating Bróccín MacRaith, is good and stuck with the marriage. He figures he can at least keep her innocence intact, until he is lost in battle and ‘dies’. That’s his plan, at least. When Latharn Castle is overtaken by the English shortly after Sir Aiden gets married, she and Sir Aiden escape together. Both of them are in a perilous situation, at the same time, very drawn to each other. The situation gets more convoluted as the author very eloquently takes us into the wilds, hiding from the pursuing English. The couple fight the urge for intimacy, at least Sir Aiden does! Lady Gwendolyn thinks she’s married, but she isn’t because Sir Aiden falsely uses Bróccín MacRiath’s name and timely death to his advantage to gain entry to Latharn Castle and marries under a false name. Lady Gwendolyn wants him to bed her and can’t understand why he keeps avoiding it. This is eye-rolling stuff! Although lots of suspense, there is considerable humor to the situation. Sir Aiden is taking them to Robert Bruce who we found out in the previous book of the series, he, too, is a Knight Templar, as well as King of Scotland. However, he is Gwendolyn’s enemy. Yes, it is convoluted, but it makes such an exciting tale. You will like the surprises! I’ve really enjoyed this series. I like how Cosby takes the event of the escape of the Knights Templar from France’s history providing us how they must have felt and what had to be done for the treasures they kept safe. Take time to discover this author, an author who loves Scotland, and who provides just plain good entertainment. 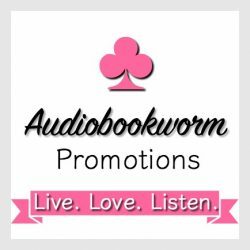 This entry was posted in Action/Adventure, Diana Cosby, Highland Romance, Highland Stories, Historical Romance, New Book Release, Romance and tagged Diana Cosby, Forbidden Vow, historical romance, Scottish romance, The Forbidden Series. Bookmark the permalink. My deepest thanks for the fabulous review. 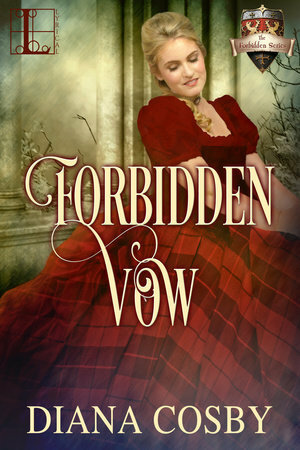 I had so much fun writing the twists and turns of Aiden & Gwendolyn’s story, and I’m humbled that you enjoyed Forbidden Vow. I have tremendous respect for the Knights Templar. My sincere hope is to honor those brave men in The Forbidden series, and share with readers some of the speculation attached to the brotherhood as well as my thoughts of where they went after their dissolution. Take care, and I wish you every success in your amazing journey from writer to published author!